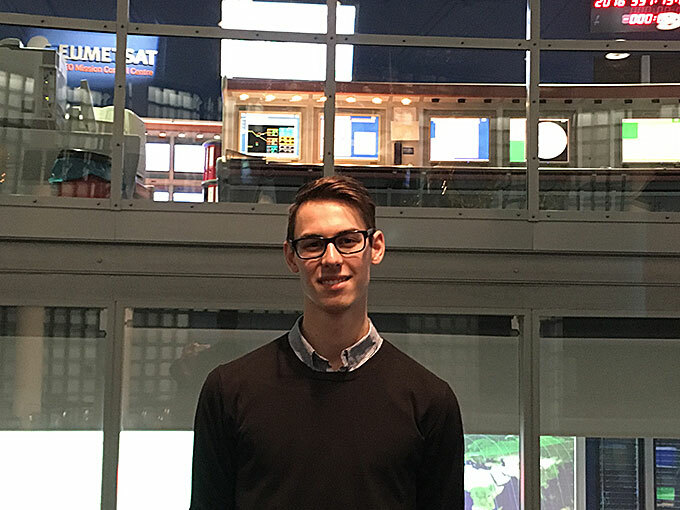 Adrian Jost is a young student that came to EUMETSAT in 2013 for a two weeks internship. 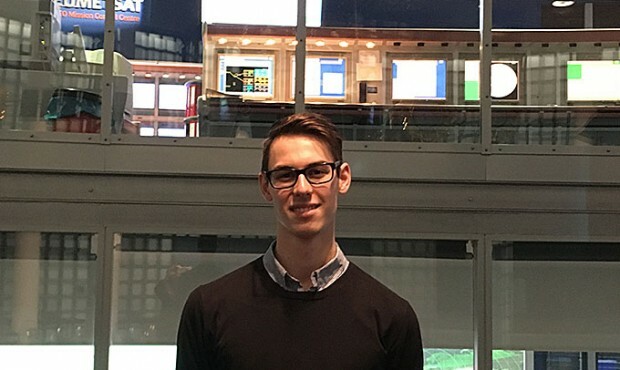 He came back last week on the occasion of a TEDxRheinMain tour of our control centre and we took the opportunity to interview him and get his impressions about his experience. I am Adrian Jost, an 18 year-old student attending high school here in Darmstadt. This year I will have my final exams and will proceed to university after the summer. How did you hear about EUMETSAT and how did you come to do your internship here? I have always been interested in scientific subject, and when I had to choose a placement for my school I was looking for something that would be related to science. I first heard about EUMETSAT from my uncle who came here on an open day visit. He told me a bit about the organisation and that is how I got the idea of applying for an internship at EUMETSAT. What did you do and learn during your internship? I did my internship in the control centre under the supervision of Mr Phil Harvey. It was a great experience: for two weeks I felt part of the team controlling the satellites and I learned a lot about telemetry, satellite manoeuvres, warning systems and I even got to go on a field trip to Usingen to visit the ground station with its big antennas. What was your favourite part? What is your best memory? It is difficult to pick something as I really loved the overall experience, the environment and the people. Everybody was very welcoming and eager to explain how things function. I loved it so much that it gave me the idea of studying meteorology and I stayed in touch with my supervisor to ask him advice on what subjects to study. Why are you interested in the field of meteorology? At EUMETSAT I was introduced to meteorology for the first time. I never thought about it as a subject to study but during my internship I became fascinated by it and made it my mission to become a meteorologist. I am mostly interested in climate modelling and weather forecasting and I would like to focus my studies on climate and meteorology. The internship made such an impression on me that my biggest dream is to work at EUMETSAT one day. If you would like to do a 2 weeks internship at EUMETSAT write an email to ops@eumetsat.int.